The QPaintDevice class is the base class of objects that can be painted: Its drawing capabilities are inherited by the QWidget, QImage, QPixmap, QPicture, and QOpenGLPaintDevice classes. 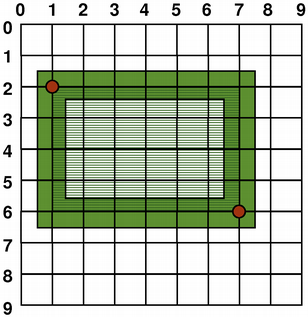 The default coordinate system of a paint device has its origin at the top-left corner. 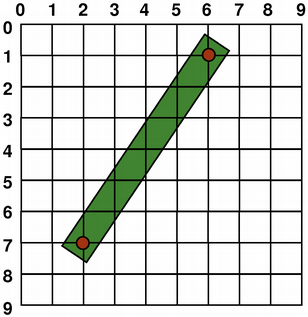 The x values increase to the right and the y values increase downwards. 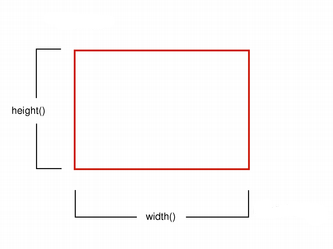 The default unit is one pixel on pixel-based devices and one point (1/72 of an inch) on printers. You can also twist the coordinate system around the origin using the QPainter::shear() function. All the transformation operations operate on QPainter's transformation matrix that you can retrieve using the QPainter::worldTransform() function. A matrix transforms a point in the plane to another point. If you need the same transformations over and over, you can also use QTransform objects and the QPainter::worldTransform() and QPainter::setWorldTransform() functions. You can at any time save the QPainter's transformation matrix by calling the QPainter::save() function which saves the matrix on an internal stack. The QPainter::restore() function pops it back. 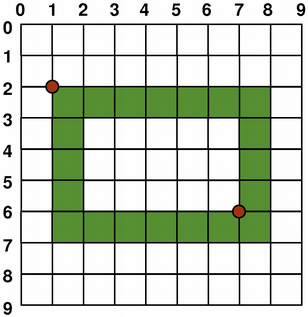 We translate the coordinate system so that point (0, 0) is in the widget's center, instead of being at the top-left corner. 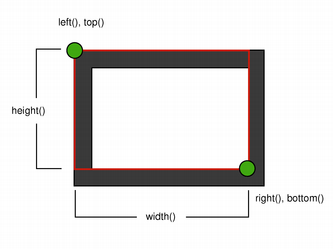 We also scale the system by side / 100, where side is either the widget's width or the height, whichever is shortest. We want the clock to be square, even if the device isn't. 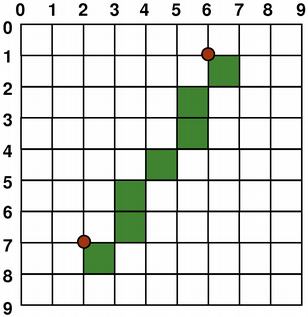 For more information about the transformation matrix, see the QTransform documentation. The mapping of the logical coordinates to the physical coordinates are handled by QPainter's world transformation worldTransform() (described in the Transformations section), and QPainter's viewport() and window(). 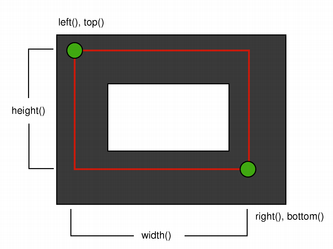 The viewport represents the physical coordinates specifying an arbitrary rectangle. 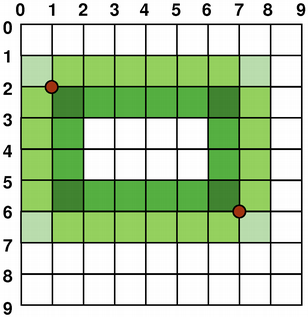 The "window" describes the same rectangle in logical coordinates. 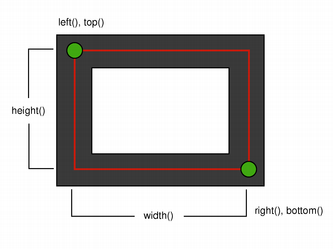 By default the logical and physical coordinate systems coincide, and are equivalent to the paint device's rectangle. 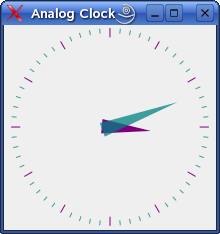 See also Analog Clock Window Example.